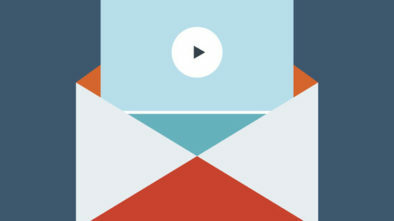 Media Companies that take advantage of video content on social media are more likely to succeed. The big media companies have become some of the largest players in the video content arena, on such platforms as Facebook and YouTube, and they’re getting at least as much attention as the engaging content offered by social media influencers, and clever branding spots produced by other companies. 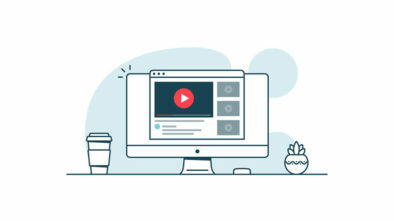 Video contributors on these platforms which are able to achieve in excess of 100 million lifetime views are referred to as mega-creators, and in the last quarter of 2017, many of these top mega-creators were the media companies. In fact, the media companies consistently find themselves at the top of the charts for garnering the most number of views for their videos. Here are some reasons why the big media companies are beginning to emerge as the most successful mega-creators on Facebook and YouTube. 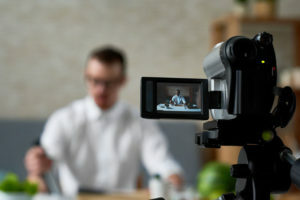 Many companies get numbered among the most active contributors for uploading videos on YouTube, because of the heavy volume of their submissions. Last year, even though big media companies only comprised 13% of all mega-creators on YouTube, the number of submissions they were responsible for was a full 42%. While the numbers aren’t quite that impressive on Facebook, the increase in contributions from big media companies on that platform grew 6% over the previous year. The reason media companies are getting so much traction so fast on the social media platforms is that they are making an intentional effort to maintain a full calendar of distributions throughout the year. Another factor in their success is that the uploads submitted by big media companies tend to be of high quality, and they do garner a large number of views from audiences. Because of the soaring success of the big media companies, it is becoming more difficult for smaller contributors to keep pace, and to get their videos seen by a large number of people. While influencers on the social media remained the top dogs in terms of earning views for most of 2017, the media companies dominated all statistics in terms of branding. Media companies pulled a full 19% of the total uploaded videos from mega-creator sources, as opposed to a mere 2% which were sourced from independent brands. On Facebook, big media publishers experienced even more dramatic results, with a full 52% of all mega-creator videos being sourced from media companies. In the third quarter of 2017, which is the last quarter for which statistics are available, big media companies collectively garnered 345 billion views from social media users. Of course, there is a direct correlation between the high volume of uploads from media companies and the number of views by user audiences. However, some specific media companies have proven to be extraordinarily successful at pulling in millions and even billions of views all on their own, and on a regular basis to boot. 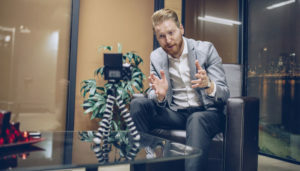 Companies that are putting out video content are getting as much attention as trending and popular tastemakers on social media. Each month, leaderboard charts are listed in the industry for the most viewed creators and publishers on social media platforms like Facebook and YouTube. Statistics listed on these charts show how specific creators are performing, relative to the total number of views which were compiled for the period. The company at the top of this leaderboard for the end of 2017 was BuzzFeed, which includes a number of individual sub-properties and standalone brands. From all of its collective social video channels, including more than 109 accounts, and upwards of 4,000 videos for the month of November, BuzzFeed compiled a staggering 5.4 billion total views for the month. While the vast majority of these views came on Facebook, BuzzFeed was successful throughout all its social media ventures for the same. One of BuzzFeed’s science publishers called Nifty Science could lay claim to the most-viewed single video submission in the month of November, with more than 70 million views – and that was only for its first 30 days after submission. Second on that same list was Time Warner, with a grand total of 5.3 billion views, garnered from an unbelievable submission of more than 32,000 videos. It should be noted that under the Time Warner umbrella there were 289 individual video creators, and the statistics are representative of all platforms which the media giant is associated with. Close behind at number three was Jungle Creations, which is comprised of a mere 26 video creators, but whose 3,500 videos managed to secure almost the same 5.3 billion number of views as Time Warner. This impressive showing, along with its upward trend of the previous several months, makes Jungle Creations a good bet to eventually take over the top spot. The LADbible Group was number four on the list, posting 5 billion total views, which were generated by 4,300 videos across all its social media platforms, and which were submitted by its total of 12 creators. In the fifth and final spot is a company you may have heard about, called the Walt Disney Company, which includes creators like ABC and Marvel among its total of 677 creators. For November, Disney racked up 4.4 billion views, garnered from more than 27,000 videos. Needless to say, these giant media companies have the resources and the motivation to dominate video submissions across the major social media platforms for quite some time. In the future, it seems that it will take the same kind of enthusiasm from individual companies who aspire to get their messages seen, and their branding recognized by a wide audience.